While about 75 percent of Puerto Rico remains without power a month after Hurricane Maria knocked out the island’s power grid, Hector Alejandro Santiago Rodriguez is at work on his nursery in Barranquitas because of the solar panels he installed six years ago. 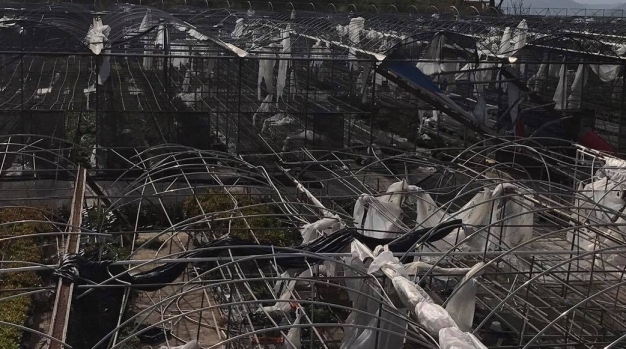 Winds destroyed a third of his greenhouses and more than half of his plants and damaged a quarter of the solar panels, but Santiago’s Cali Nurseries never lost electricity after the storm. He has been able to pump water from his wells and operate his irrigation system for poinsettias, orchids and other plants he sells at Costco, Home Depot and other stores. Hector Santiago's nursery in Puerto Rico has been able to operate since Maria thanks to solar panels he installed six years ago. 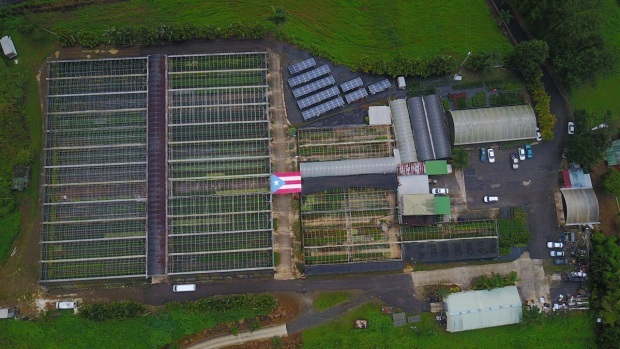 Hector Santiago's greenhouses at his nursery in Barranquitas, Puerto Rico were damaged during Hurricane Maria. Santiago has been able to continue operating his pumps even after the hurricane knocked out the island's power grid because of solar panels he installed. 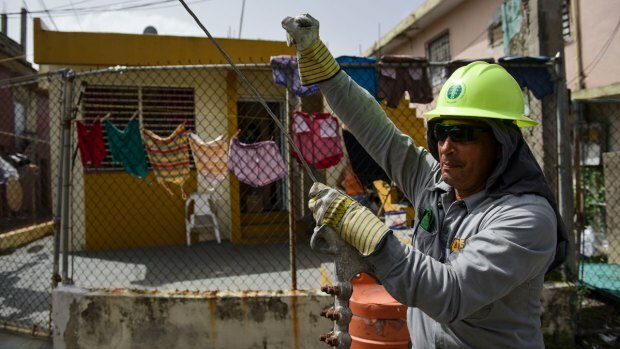 The destruction of the island’s power grid has brought new focus on the bankrupt Puerto Rico Electric Power Authority and how the electricity system could be rebuilt in a more resilient way by taking advantage of renewable energy. At a meeting with President Donald Trump in the White House on Thursday, Gov. Ricardo Rosselló said Puerto Rico had a chance to become a showcase for a sustainable energy grid with public-private partnerships. "We think there is an opportunity here to leverage growth in the energy sector and to be innovative, not only rebuild what we had in the past, but also with the aid of the federal government and with the private sector, rebuild a much modern, much stronger platform," he said. "And not only have Puerto Rico have energy but actually be a model of sustainable energy and growth toward the future." Tesla, the manufacturer of solar panels, the Powerwall battery and the Powerpack commercial battery, and a German competitor, sonnen, are poised to become private partners in that switch to sustainable energy. Tesla is snagging most of the attention. Rosselló talked with its founder Elon Musk, after Musk tweeted that the company could reconstruct the island's electricity with independent solar and battery systems. "The Tesla team has done this for many smaller islands around the world, but there is no scalability limit, so it can be done for Puerto Rico too," Musk wrote on Oct. 5. "Such a decision would be in the hands of the PR govt, PUC, any commercial stakeholders and, most importantly, the people of PR." 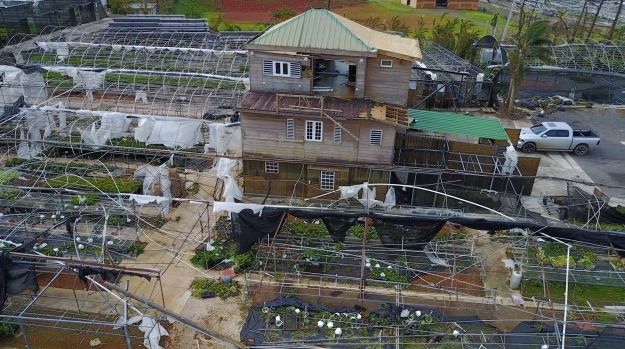 Hector Santiago's nursery in Barranquitas was damaged in Hurricane Maria but he has been able to pump water to keep his plants alive even after the island's electric grid was destroyed because he had installed solar panels. 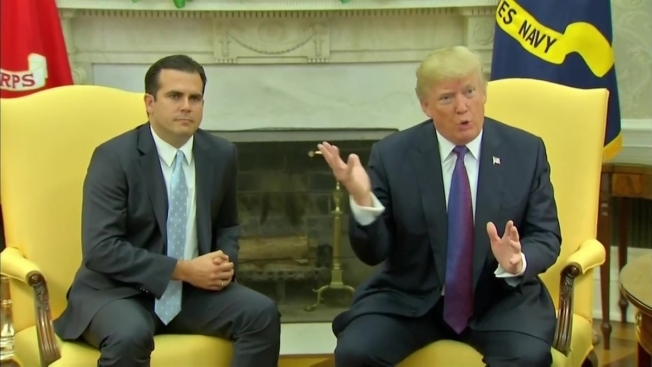 "Let's talk," Rosselló responded. "Do you want to show the world the power and scalability of your #TeslaTechnologies? PR could be that flagship project." Rosselló told USA Today that he and Musk later spoke about running a pilot program on the island of Vieques. Tesla has since sent experienced installers to Puerto Rico to train a small Powerwall installation team there, and by October 24, it had a project underway at a children's hospital in San Juan, the Hospital del Nino de Puerto Rico, Musk tweeted. Tesla declined to comment further but it has already constructed microgrids on Hawaii's Kauai and American Samoa and has said it will work with energy providers around the world to overcome barriers to building sustainable, renewable grids. Francis O'Sullivan, the director of research at the Massachusetts Institute of Technology's MIT Energy Initiative, agreed that there was an opportunity now to integrate newer technologies into Puerto Rico’s power grid. Companies like Telsa will be part of the effort, but they will not be able to rebuild Puerto Rico's electricity system in the next six months or even a year, he said. There is a tension between restoring electricity quickly and re-imagining the grid. "That’s a really tremendously big job rewiring the entire island and not just a big job but a very expensive undertaking," he said. "And in terms of shorter term delivery or redelivery of electricity services, it is not the solution." But new technologies could be introduced in strategic locations, such as around public safety buildings or hospitals, O'Sullivan said. Microgrids could incorporate more storage and renewable energy, he said. Puerto Rico now produces only about two to three percent of its total electricity from such renewable energy as wind and solar, O’Sullivan said. That share has been growing rapidly but is still not more than 200 or 250 megawatts of a total capacity of 5 to 6 gigawatts. A transition on an island-wide scale would cost about $2 billion and take several years of work, he said. "The more extensive redevelopment or rewiring of the system in Puerto Rico to make it more renewably centric and more more reliable, that’s not going to happen by the end of October or November," O'Sullivan said. Testa Energy cargo arrives in Puerto Rico as seen in this Oct. 14, 2017, picture. Elon Musk, CEO of Tesla, has tweeted about the possibility of remaking Puerto Rico's energy system after the island's power grid was wiped out by Hurricane Maria. 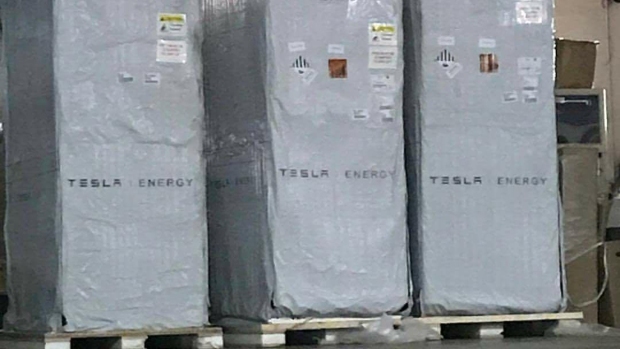 Rauluy Santos, an auditor at PricewaterCoopers in San Juan, took a widely circulated photograph of Tesla Energy cargo at the Air National Guard Base Muñiz at Carolina, near San Juan's Luis Marín Muñoz International Airport on Oct. 14. He spotted the shipment while he was waiting for water, food, medicine and other goods sent from the Hyssop Church in Boston, to be distributed through the non-profit, Mentes Puertorriqueñas en Acción, of which he is a director. Santos said it was time to for the island to invest in technologies such as solar energy to provide cheaper, more sustainable energy with lower carbon emissions. He and others are waiting to see if this is a publicity stunt on Musk's part or a true humanitarian effort, he said. "However I believe in Elon Musk and have high hopes on his delivery of the promise," he said, "but please let it be with an affordable price tag in which our economy can get at least a bump with a new industry and new job opportunities from all the years in recession we've been." He agreed that pilot programs should be tried first, on the islands of either Vieques or Culebra. "Our governor, Ricardo Rosselló, was proactive with Elon Musk's tweet and we're eager to learn what's the plan," he said. For now, work is underway to restore hundreds of miles of transmission lines and thousands of miles of distribution lines. Even this will require more workers, more equipment and more money. "It's too much for us alone," Nelson Velez, a regional director for the Puerto Rican power authority, told The Associated Press as he supervised crews along a busy street in Isla Verde, just east of San Juan, on a recent afternoon. "We have just so many, so many areas affected." Adding to the difficulties, Rosselló has requested an audit into how a small energy company from the same Montana town as Interior Secretary Ryan Zinke won a $300 million contract to help restore power. Lawmakers are calling for an investigation into why the Puerto Rican power authority chose Whitefish Energy Holdings over a mutual-aid network of public utilities more typically called on. Zinke said he had nothing to do with Whitefish Energy Holdings receiving the contract. As for bringing microgrids to Puerto Rico, while Tesla has been getting the publicity, a competing German company, sonnen, was to break ground on its first installation on Oct. 26 in Loiza, a small town on the coast east of San Juan. The microgrid, at a church, is to include five washing machines because people had been washing their clothes in a river and had been exposed to the Leptospirosis bacteria. Sonnen is focused on creating microgrids for shelters, clinics and community centers in areas that lack power and clean water, it said. It is working with a Puerto Rican partner, Pura Energia, which installs solar panels with sonnen batteries, and it expects to have the first five microgrid locations up and running by the end of October. Five additional microgrids are to be running in November, and a total of 15 by mid-December. The microgrids also will provide power for refrigerators for food and medicine, and for clean water and to operate clinics. Sonnen has been selling its sonnenBatteries in Puerto Rico for 18 months, according to the company’s U.S. senior vice president, Blake Richetta. It does not make solar panels but typically provides smart technology and storage while working with regional distributors and installers who bring the solar panels. For this project, the Puerto Rico Energy Security Initiative, it is donating sonnenBatteries and covering the cost of the solar panels and the installation. "Sonnen is also unique by virtue of the fact that our factory is shipping a working, proven product, on a daily basis and we can deliver energy security to the people of Puerto Rico, without delay," Richetta said in an email. "For sonnen, this is not 'theory.'" Longer term it expects to sell and install more sonnenBatteries in Puerto Rico, as part of systems that increase resiliency and bolster the grid by creating localized power supplies and reducing the effect of a single point of failure -- important in the face of devastating storms. It would rebuild the Puerto Rico electricty grid as a grid of the future, decentralized, decarbonized and digitalized, and would consider building a sonnen facility on the island, according to Richetta. "A decentralized electricity grid in Puerto Rico, composed of thousands or even a few million solar arrays, coupled with clean energy storage, would form a 'virtual power plant' for the island," Richetta said. "This distributed 'virtual power plant' would become the most resilient grid infrastructure in the country today, one that is effectively impossible to 'bring down,' via a hurricane." Even before Hurricane Maria hit, British billionaire Richard Branson told Reuters that he was setting up a fund to enable Caribbean nations to replace fossil fuel-dependent utilities destroyed in Hurricane Irma with low-carbon renewable energy sources. The Caribbean islands have mostly been generating power by burning diesel. Branson has been approaching governments, financial institutions and philanthropists, Reuters reported last month. "As part of that fund we want to make sure that the Caribbean moves from dirty energy to clean energy," Branson, who has lived in the British Virgin Islands for 11 years and weathered Irma on his private island, said. In a blog entry this week, the Brookings Institute noted both Tesla and sonnen’s emergency measures and evaluated the likelihood that the grid would be rebuilt with solar and battery storage. "That is a hope but there’s no certainty," Lewis M. Milford and Mark Muro wrote. "It would take a dedicated group of companies, a local government willing to be creative and strong federal support for rebuilding the power system in a more resilient way," they wrote. "Merely redoing the same diesel-dependent, centralized electric system, the status quo, should not be an option." The Tesla project on Kauai consists of a 13-megawatt solar farm and a 52 megawatt-hour battery installation that Tesla and the Kauai Island Utility Cooperative expect will reduce the use of fossil fuel by 1.6 million gallons a year, according to The Verge. The Kauai Island Utility Cooperative has contracted with Telsa to buy the electricity that is produced -- at 13.9 cents per kilowatt hour for 20 years. On the island of Ta'u in American Samoa an $8 million solar project funded by the U.S. Department of Interior and the American Samoa Power Authority was completed late last year, according to National Geographic. That project — 1.4 megawatts of electricity that can be stored in 60 Powerbacks — shifted the island's energy generation from 100 percent diesel fuel to entirely solar. It will save about 110,000 gallons of diesel fuel and was built to withstand Category 5 hurricane winds. Santiago, the nursery owner, is not sure his business will survive the crisis, but said he had already recovered 70 percent of his poinsettias and is trying to save others. He believes that after the catastrophe brought by Hurricane Maria more people will invest in solar energy. It has helped him protect the Earth and has provided him with clean energy and constant voltage which made his equipment last longer, he said. He sold excess energy to the government. "Now, when nobody has electricity, we can pump our own water which makes us self-sufficient," he said. "Cali Nurseries will survive Hurricane Maria with the favor of God," he said.